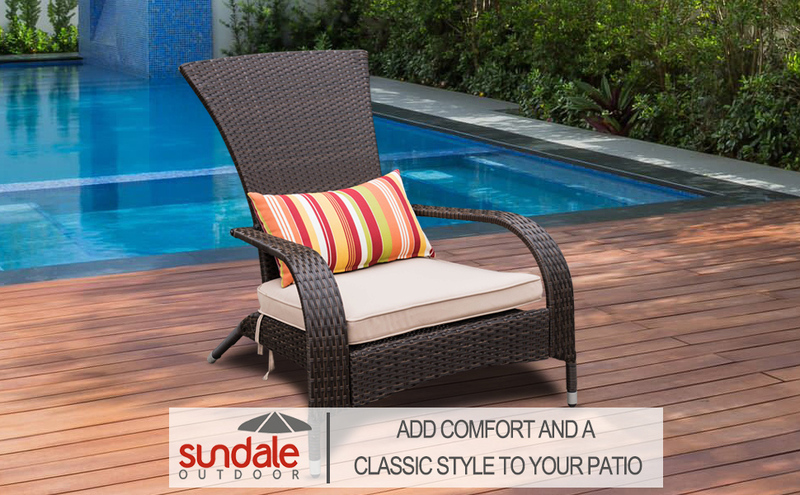 Sophisticated elegance meets classic beauty with the Sundale Outdoor Deluxe Wicker Adirondack Chair. It is the perfect summer accessory and addition to any patio or deck. 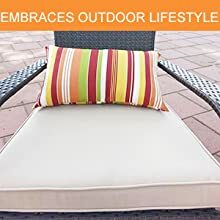 Relax on patio with comfortable cushions and adjustable comfy chair. its cushions are weather and stain resistant. Our chaise lounge will make your neighbors envious of your outdoor living area. Show them how stylish and trendy you are with our new lounger. Have a seat or lie on this Wicker adirondack chair and let your worries wash away as you enjoy the beautiful summer days. Put some ice in your drink, have a seat and enjoy the great outdoors with this beautiful lounge seat. We know how important home is, so we want to help you find exactly what you love for where you live. That's why we offer wicker chair series for you to see and touch. The all-weather resin wicker is hand finished that adds character and authenticity to chairs appealing and versatile natural finish. 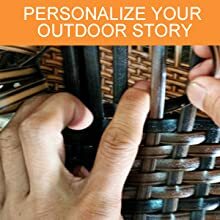 Advanced synthetic wicker strands are UV-stable and moisture-resistant, allowing them to laugh at types of weather. The wide, curved arm rests add elegance, and it will take your relaxation to a whole new level for ease in getting in and out. Cloth cushions grace the seats, boasting UV, water, and stain-resistant fabric in a green. Plus weather-resistant polyester pillow for a luxury setting. 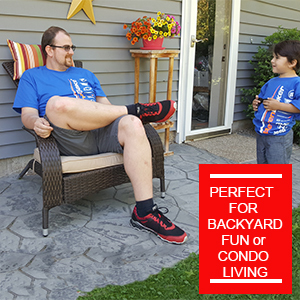 A little hard to assemble but good quality, comfortable, and stylish design. Great value at this price point. Nice addition to our patio. You will need either a good lumbar pillow or several small pillows to make this chair completely comfortable but otherwise nice chair. I purchased 2 for my back patio and enjoy sitting around the fire pit with my feet up. 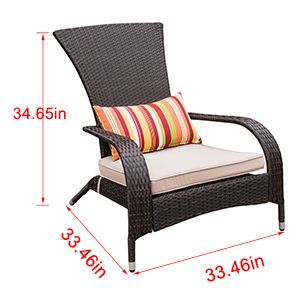 Solid construction, good weave on the wicker, easy to put together. Only wish that it came with foot stools. Easy to assemble, just follow the instructions. Great looking and good for kicking back with your feet up. 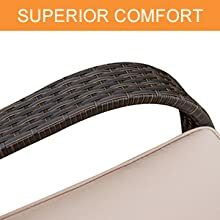 Seat comfort is excellent with the wicker webbing giving just enough? These are pretty good - especially for the price. I will say that they lean WAY further back that I expected or than what's pictured...you really have to have a back pillow, a pretty fat one. 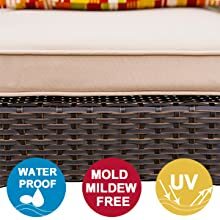 They are decent quality and look nice on our deck - I really like that they come with their own pillows too. Initially I ordered these chairs from another seller on this site because this product had no reviews. It ended up that the other seller was out of stock so I went with Mister Patio and these chairs. I am so glad that I did! The chairs arrived two days after I ordered them and I only asked for standard shipping. The packaging was perfect and the chairs are absolutely gorgeous!!! The chairs also came with an unexpected smaller lumbar pillow. NIce surprise. I am a single girl and I easily put the chairs together by myself. They are sturdy and look far more expensive than they were. These chairs are perfect for around our fire pit. They are pretty large and deep enough to sit back and relax. Assembly was no big deal and I was able to do both chairs by myself in about 20 minutes.